In conversations with President Trump, former FBI Director James Comey recounts Trump's "serious reservations" about then-national security adviser Michael Flynn. Comey found so unnerving a series of interactions with Trump that he documented them in writing. According to James Comey’s Memos obtained by The Associated Press, President Donald Trump told former FBI Director James Comey that he had serious concerns about the judgment of his first national security adviser, Michael Flynn, and his chief of staff asked days later if Flynn’s communications were being monitored under a secret surveillance warrant. 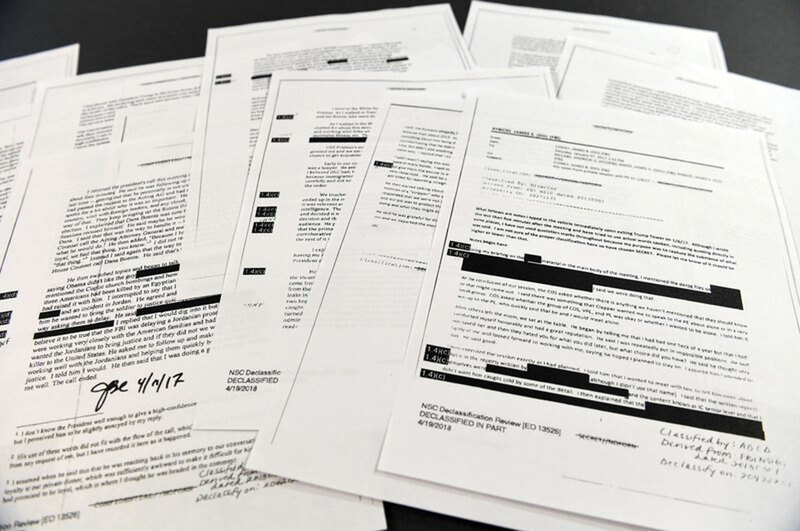 The 15 pages of documents contain new details about a series of interactions with Trump that Comey found so unnerving that he documented them in writing. 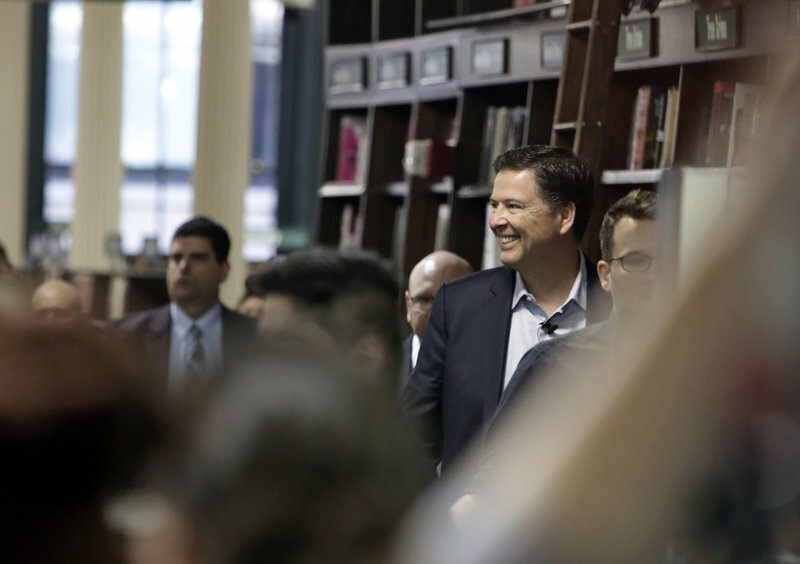 Those encounters in the weeks before Comey’s May 2017 firing include a Trump Tower discussion involving allegations of prostitutes and Russia, a White House dinner at which Comey says Trump asked him for his loyalty and a private Oval Office discussion where the ex-FBI head says the president asked him to end an investigation into Flynn. The documents had been eagerly anticipated since their existence was first revealed last year, especially since Comey’s interactions with Trump are part of special counsel Robert Mueller’s investigation into whether the president sought to obstruct justice. The memos have been turned over to Mueller. According to one memo, Trump complained about Flynn at a private January 2017 dinner with Comey, saying “the guy has serious judgment issues.” He then blamed Flynn for a delay in returning the congratulatory call of an international leader, telling Comey he would be upset if he had to wait six days for a returned phone call. At that point, the FBI had already interviewed Flynn about his contacts with the Russian ambassador, Sergey Kislyak, and the Justice Department had already warned White House officials that they were concerned Flynn was vulnerable to blackmail. Flynn was fired February 13, 2017, after White House officials said he had misled them about his Russian contacts during the transition period. In a separate memo, Comey says Trump cleared the Oval Office of other officials, encouraged him to let the investigation into Flynn go and called him a good guy. The memos were provided to Congress earlier Thursday as House Republicans escalated criticism of the Justice Department, threatening to subpoena the documents and questioning officials. In a letter sent to three Republican House committee chairmen Thursday evening, Assistant Attorney General Stephen Boyd wrote that the department was sending a classified version of the memos and an unclassified version. The department released Boyd’s letter publicly but did not release the memos.